Unlike most other B&M hyper coasters, this Giga coaster will emphasize on speed with just 2 camel backs but several high speed turns including a 164 degree “barrel roll” (not the inversion, but an over-banked turn rather) after the first drop and a 115 degree, 147 ft high camelback over the park’s front gate. The park has already launched a mini-site which includes concept art and other renderings for the ride. 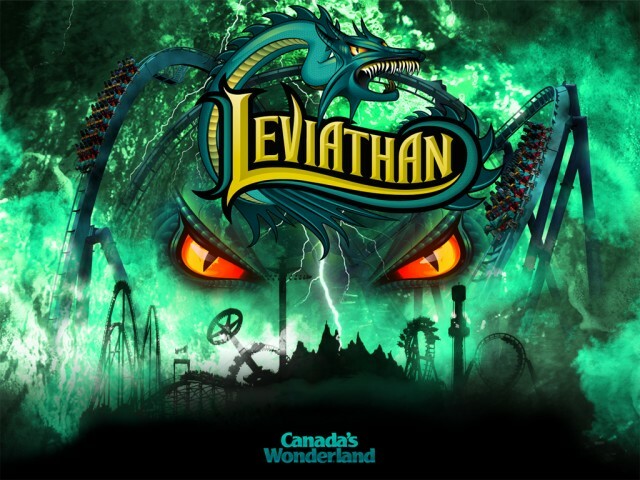 Leviathan will be the park’s 16th coaster, putting it as one of the top 3 parks with the most coasters on the planet, just behind Cedar Point and Six Flags Magic Mountain. Canada’s Wonderland continues to be the destination for family fun and thrill seekers. My first thoughts when I saw the leaked concept art was “This is for Canada’s Wonderland?” And I still feel that way. By no means is this a bad addition, however I doubt this was originally intended for this particular Cedar Fair park. With Cedar Fair responsible for ride installations, not the parks themselves, I would assume this was intended for a different park, but changes in plans would later move it to Canada’s Wonderland. And face it, is it a bad thing to have two nice B&M Hypers in one park? It’s similar to the style of thinking for Holiday World with their new addition of Mammoth. Yes you’re beating your own record, but it’s building a bigger and potentially better version of the park’s most popular ride. More than anything it’s nice to finally see B&M get into the giga coaster business as who knows what that means for the future (300 ft Dive Machine anyone?). What are your thoughts on Leviathan? Wish it was at your park? Will you be riding it next year? Leave a comment with your Park Thoughts below. Wow. I just heard of CW getting a new coaster like a month ago and thought ok its probrably just a floorless looper or invert or something. But wow, I never expected this. Finally, B&M is going to make a giga coaster! And with those B&M hyper trains this might be in the running for best coaster in the world next year! I love Millennium force, but a version of it with B&M hyper seats would be better. Wow this looks great, I wish I could go to Canada! I don’t see why people are looking down upon this coaster, I think it looks pretty damn great! B&M never fails to impress me. Nice work guys! which park do you think it was intended for? Knott’s? 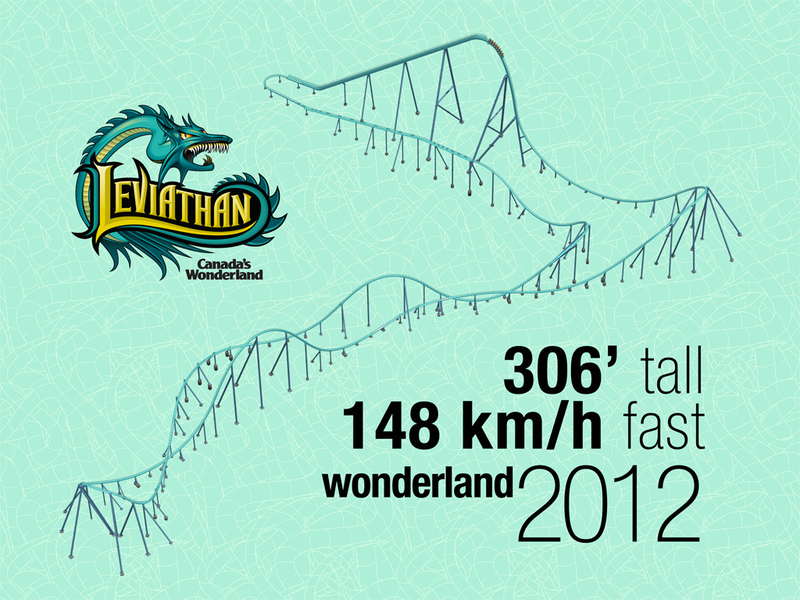 Wonderland confirmed with media (CWmania) that Leviathan was designed for Wonderland and only Wonderland.